Although the OPPO RX17 Neo was presented in Japan a few days ago (with the name of R17 Neo, by the way), the firm did not revealed his plans to launch the device beyond the borders of asia. 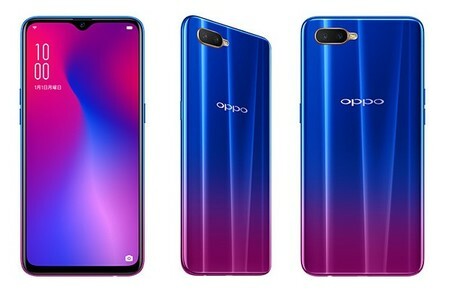 However, today, the manufacturer has announced that this terminal, very similar to the OPPO R17 although not identical, will arrive also to Europe. It is a device of mid-range that bet, among other things, for a large format screen that hides under it a fingerprint reader. This screen is accompanied by a notch with a drop of water and a double rear camera, as well as one of the processors mid-range most popular of Qualcomm: Snapdragon 660. Comes to compete in a segment of prices that main exponents are really fierce, so let’s see what weapons hidden in its arsenal. For the section of the design, the OPPO RX17 Neo has a screen of 6.4 inches with AMOLED technology and resolution FullHD+ that holds a 91% on the front. Under it, right in the central area of the bottom half, we have the fingerprint reader, something we are seeing increasingly more and that aims to become a trend. 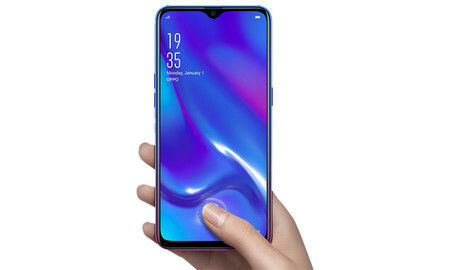 On the top there is a notch with a drop of water that hides the rear camera and, in the back, two colors available: blue and red gradient. as components are concerned, the OPPO RX17 Neo mounts, as we set out before, a processor Snadragon 660 accompanied by 4 GB of RAM LPDDR4X and the GPU Adreno 512. To this we must add a battery 3,600 mAh with fast charging SuperVOOC and the internal storage, which is 128 GB, expandable up to 256 with microSD cards. All of this will move Android 8.1 Oreo rouged with Color OS 5.2. For the section of photography, the guys from OPPO have introduced a dual camera rear-16+2 megapixel, when the secondary sensor is a depth sensor. This, of course, will powered by Artificial Intelligence that, in theory, should help to improve outcomes through the analysis of scenes. The front camera is increased to 25 megapixels. Finally, reviewing the connectivity, the new mid-range OPPO has almost everything, stressing only the lack of NFC. That means that we have GPS, 4G/LTE, Bluetooth 5.0, USB-OTG, and support for dual SIM. 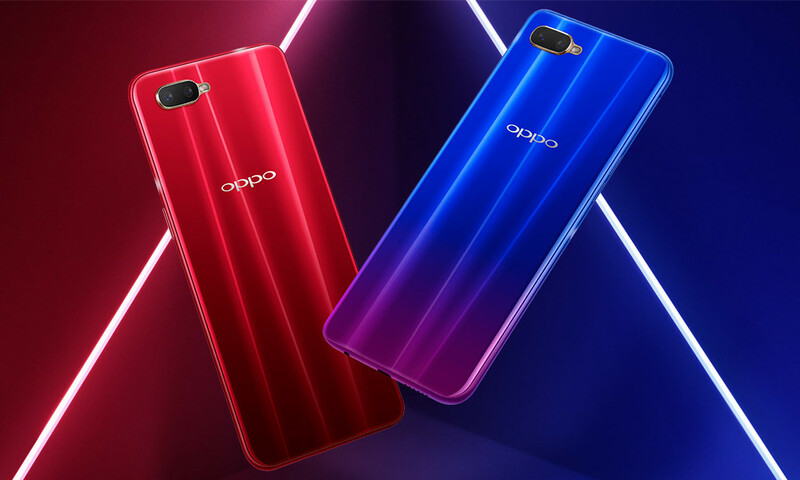 The OPPO RX17 Neo can be purchased in a unique configuration of 4 GB RAM and 128 GB of internal storage in two colors: blue and red, both with effect gradient. is Your price will be 349 euros and will be available from the 16th of November. The news OPPO RX17 Neo, the new mid-range chinese bet for the fingerprint reader under the screen was originally published in Xataka Android by Jose García Nieto .